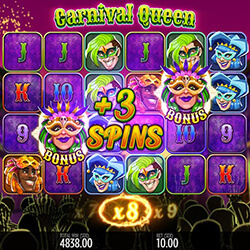 Carnival Queen is a Mardi Gras-themed pokie that boasts both impressive graphics and a wide range of different features. Set across 6 reels, and with a massive 4096 ways to win, Carnival Queen includes symbol avalanches, multipliers, free spins, and a potential jackpot that goes as high as 22,700x. Winning combinations promise 10x multipliers which are activated during free spins, and when this feature is active it’s possible to win a 22,700x the original stake, making this a high volatility pokie. Whenever a player lands a win, they can also trigger the avalanche feature, which has symbols fall off the reels and others quickly replace them, meaning that combinations can be completed quickly – but the feature will come to an end if there aren’t enough wins in a certain amount of time. The best part of the avalanche feature is that each consecutive win will also increase the multiplier for the next wave of wins, which can amount to a total of 10x. The Mask scatter symbol triggers the wins, where the player will need at least three of them across the reels, and promise between 12 and 24 free spins per round. 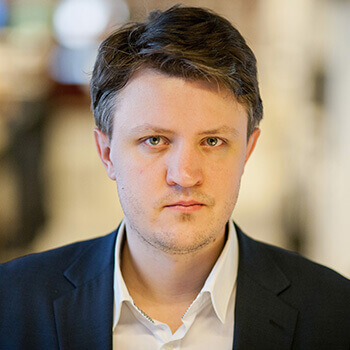 It’s also possible to retrigger free spins, which can be done many times in a row. During free spins, the multiplier doesn’t reset once the avalanche feature comes to an end. This means that the player will preserve that multiplier level for the next set of spins, which can keep going up if they continue to be triggered.